When the production finally opened on Broadway, no one was credited as either director or choreographer. At least during early Broadway previews, original director Morton Da Costa and original choreographer Onna White were both still listed in playbills. Da Costa's billing read "Entire Production Stage by Morton Da Costa." White's billing read "Dance and Musical Numbers Choreographed by Onna White." 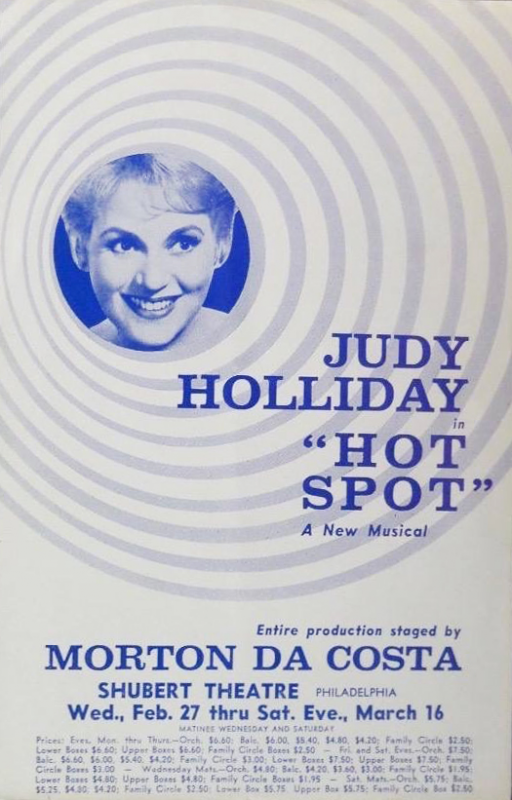 At some point, Richard Quine, who had directed star Judy Holliday in several movies, came in to take over as director but, according to Ken Mandelbaum's book Not Since Carrie, he "quickly fled." Finally, Herbert Ross took over, uncredited, as director and choreographer.